In these days many of us are using power banks to charge our smartphones and laptops while travelling. With the help of these we can use the devices without any worry even when we are away from the socket. 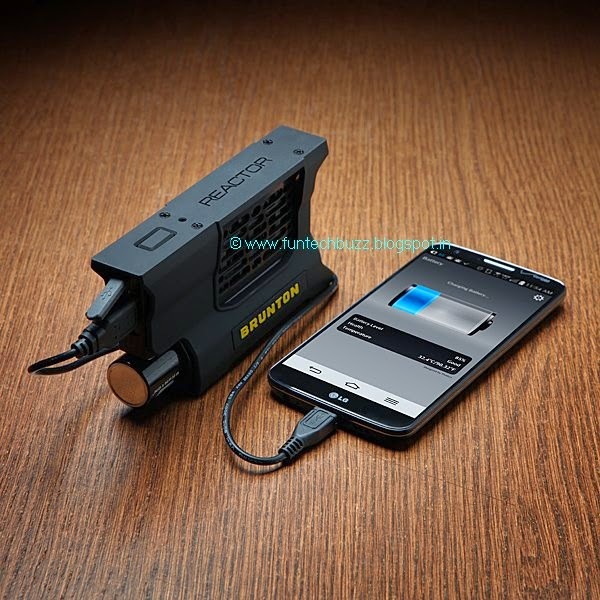 But most of the power banks available in the market are capable enough to charge your devices once or twice and also need to be charged fully to give the required back up. But what, if I say about a power bank which can charge your mobile 5-6 times without depending upon Mr. socket. Yes , it is true. ‘Brunton’ has developed a power bank i.e. a Hydrogen Reactor which produces electrical energy. But the best part of it is – water comes out as a by-product from this. So it is nature friendly. Also it comes with a Hydrogen-core(the cartridge). The hydrogen-core when paired with the Hydrogen-reactor serves as a fuel cell. It can charge a smartphone around six times. Once the hydrogen-core drains out you have to put it in a Hydrolyzer. In technical language when the hydrogen core is put inside the hydrolyser, it packs hydrides into it. And when used with the reactor a platinum catalyst separates positively charged hydrogen ions from negatively charged electrons. When the electrons constitute the current, the hydrogen ions are forced through an electrolytic membrane where they combine with oxygen to form water. 1. Unlike Lithium-ion batteries these never run out of charge even if it is kept for months unused. 3. Ideal for hikers and travellers. 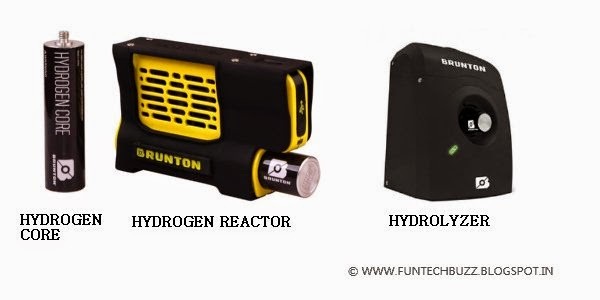 Another important thing you should know that this power bank comes with 2 hydrogen cores and a hydrogen reactor and you have to buy the hydrolyser which charges the cores, by paying some extra amount. This worth buying product is now available at amazon online stores. Variants with different colours are available too. If you have any question regarding Brunton Hydrogen Reactor Fuel cell system then let us know though comments.